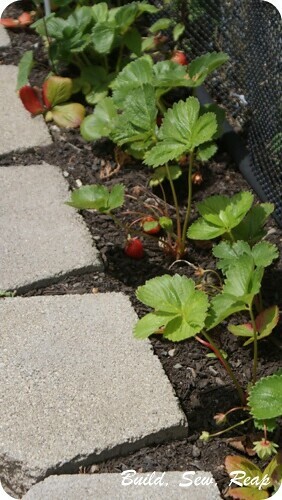 I'm growing snap peas, corn, sunflowers, 5 varieties of tomatoes, peppers, kale, bunching onions, spinach, carrots, mixed lettuce, cauliflower, artichokes and yellow onions. 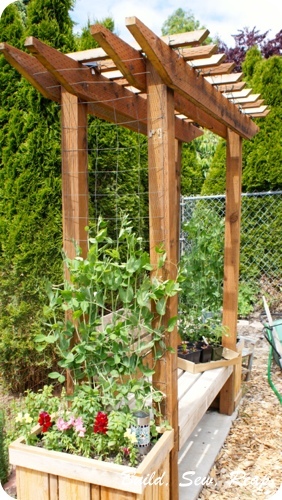 I even built a bench with a climbing trellis for our snap peas. 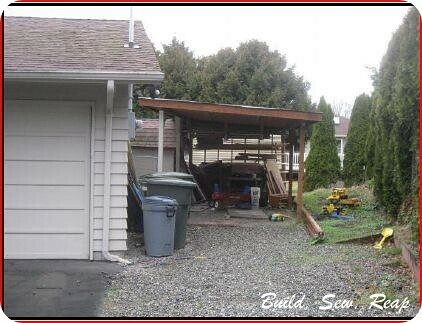 I used only wood salvaged from the carport for the bench and pergola. 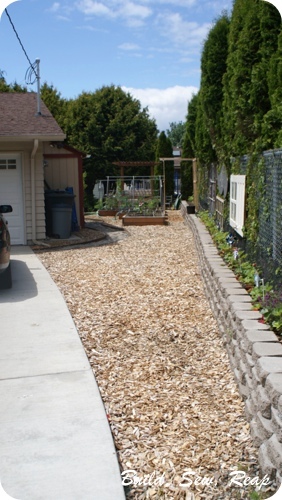 The planter boxes were built out of fence boards I bought. 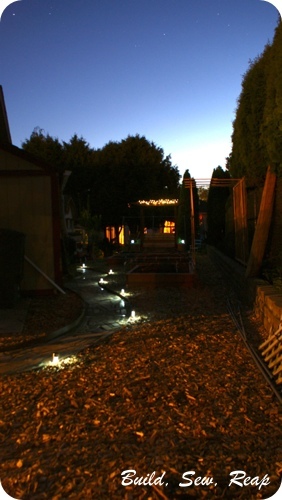 Finally, as a special nighttime treat, I added solar string lights and path lights. I love sitting on the bench in the evening when everything is so quiet. 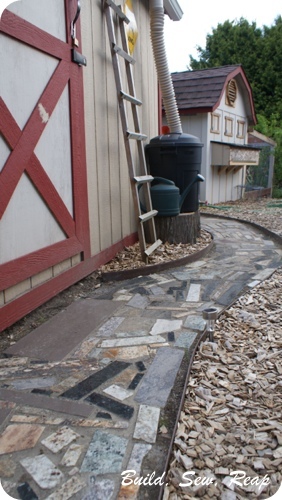 It is so wonderful to breathe in the smells of the garden and hear an occasional chicken snore. I'm eager to finish up some of the small details we will be able to attack only after the weather has turned nice consistently. There's painting to be done and some more trim to put up around the new shed. For now, all my energy is being devoted to our fresh new plants. 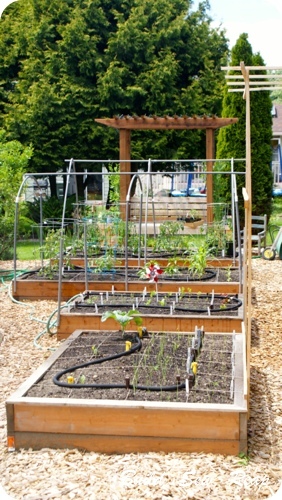 Grow little veggies, grow!